An annual event at STB is the sale of Lolligrams for Valentine's Day. 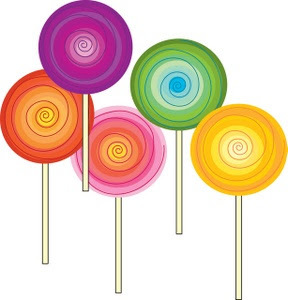 We will be selling LOLLIGRAMS in each classroom on Monday, Tuesday, Wednesday and Thursday (February 8th, 9th, 10th, 11th). Children can purchase a small card with a heart shaped lollipop attached to send to their friends, brothers, sisters, etc. in their classroom or in another classroom here at school. LOLLIGRAMS cost 25 cents each. They will be delivered to each classroom on Friday morning...February 12th! In many cases, the children send Lolligrams instead of Valentines. For children in the primary grades, it would be helpful if they came to school with a list of the people they want to buy Lolligrams for and the morning classroom that each child is in. All proceeds will go to Breast Cancer Research.